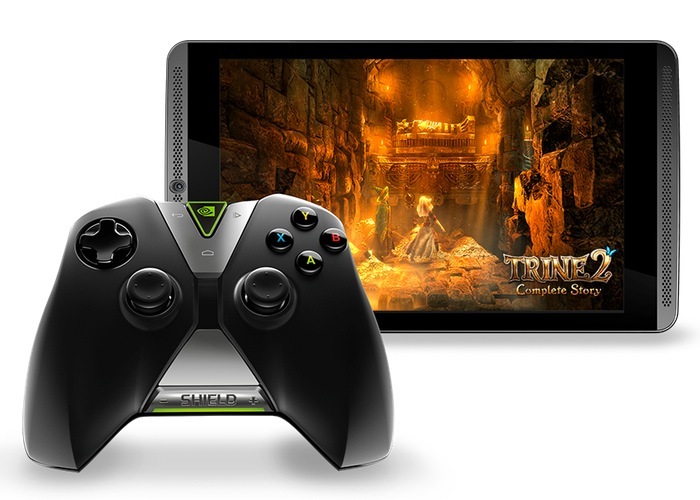 In CES last year, Nvidia released the shield which was a hybrid of a portable gaming console and an Android device. The idea behind the device was great but it seemed to be unsuitable for use as a tablet. Studying the market reaction, Nvidia then came up with the Shield Tablet which featured a 8-inch IPS Full HD Display flanked by two large front facing speaker grills that should provide a best of the class stereo audio experience, essential when indulging in games. The Shield Tablet runs on Nvidia’s powerful 2.2 GHz quad core Tegra K1 processor which has 192 Kepler-based GPU cores that support desktop class graphics features and is backed by 2GB RAM. The NVIDIA Shield Tablet is undoubtedly one of the best tablets out there in the market for gamers who want to experience a high-spec tablet running on an Android. Recently, Nvidia Shield Tablet has picked up a huge update which could already reach the respected owners. The update doesn’t bring an all new exciting feature but fixes a handful of bugs and focuses on new enhancements. In this update, the WiFi Stability as well as the camera performance, Shield Hub, Gamestream are also improved. Own one? Did you update it yet? Let us know in the comments below!